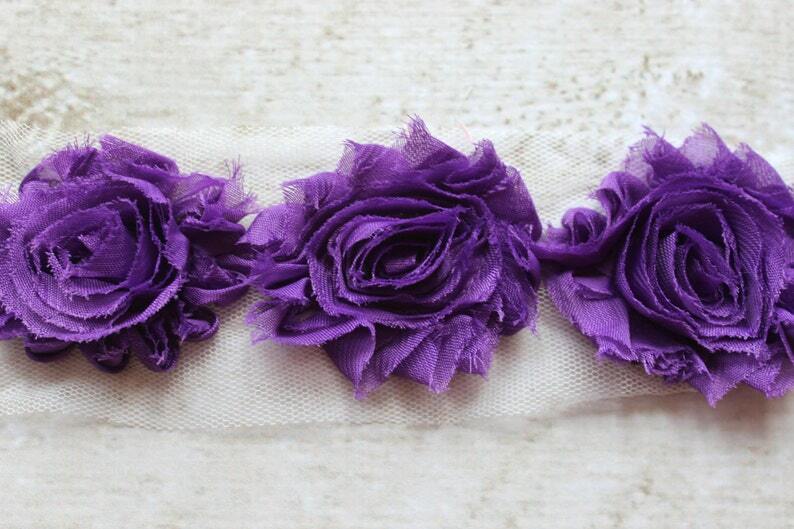 This listing is for 1/2 yard of soft Shabby Chiffon Flower Trim in Grape Purple. Each flower measures approx. 2.5" inches in diameter and 1/2 yard contains 7 flowers. Perfect for DIY headbands, hair clips, clothing embellishments, or whatever your creative mind dreams up. Fast shipping and just as pictured.